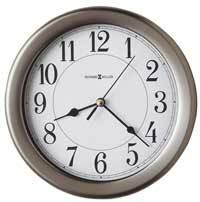 This modern wall clock has quality features for today's homes. The off-white dial is surrounded by a brushed nickel bezel and offers embossed, brushed nickel Arabic numerals. 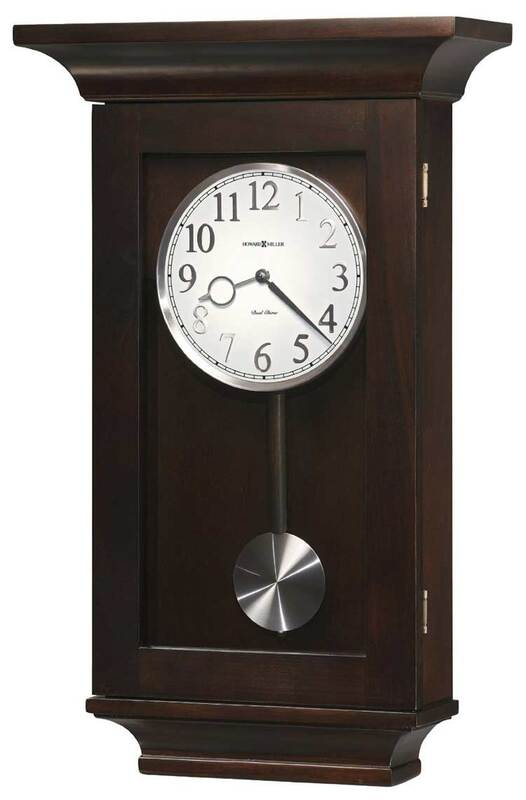 The wooden stick swinging pendulum features a brushed nickel swinging pendulum bob. Black Coffee finish on select hardwoods and veneers. 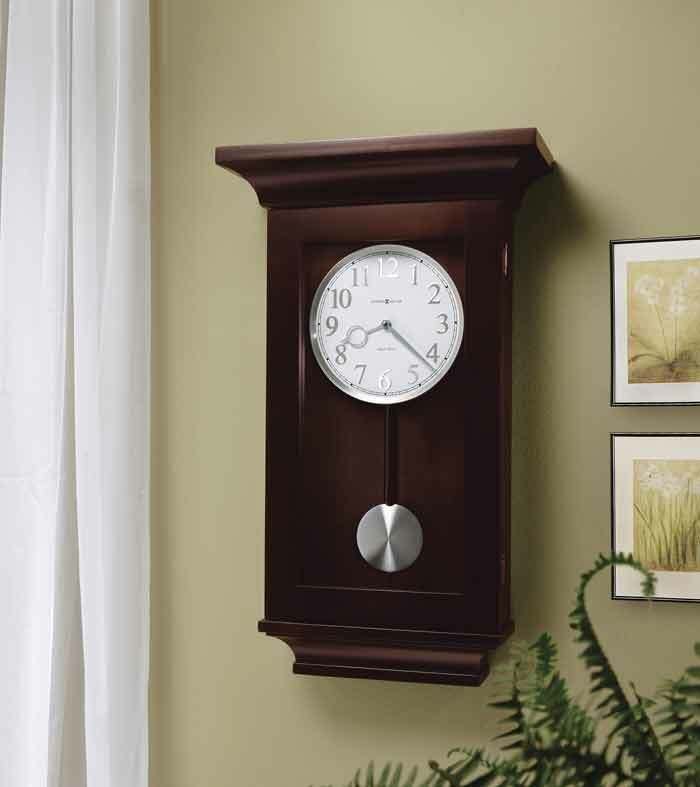 Quartz, dual chime quartz movement plays hourly or quarter hour Westminster or Ave Maria chimes by a selector switch inside. The movement is fastened to the inside of the hinged door allowing access to the controls and batteries without taking the clock off the wall. Volume control and automatic nighttime chime shut-off feature. 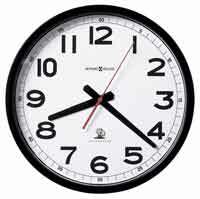 Clocks for sale at The Clock Depot including the 625-379 at discount prices.